This resort, built in 1912, is one of the oldest in Arizona. It doesn't seem to get as much attention as the newer, trendier places, so I wanted to give it a little love here. Our wedding and reception were absolutely beautiful. Our ceremony was held under the vine-covered pergola, which was perfect for our vineyard-influenced wedding. We talked about having our reception outside on the overlook terrace, but decided on the San Marcos ballroom after I fell in love with the glorious chandeliers. 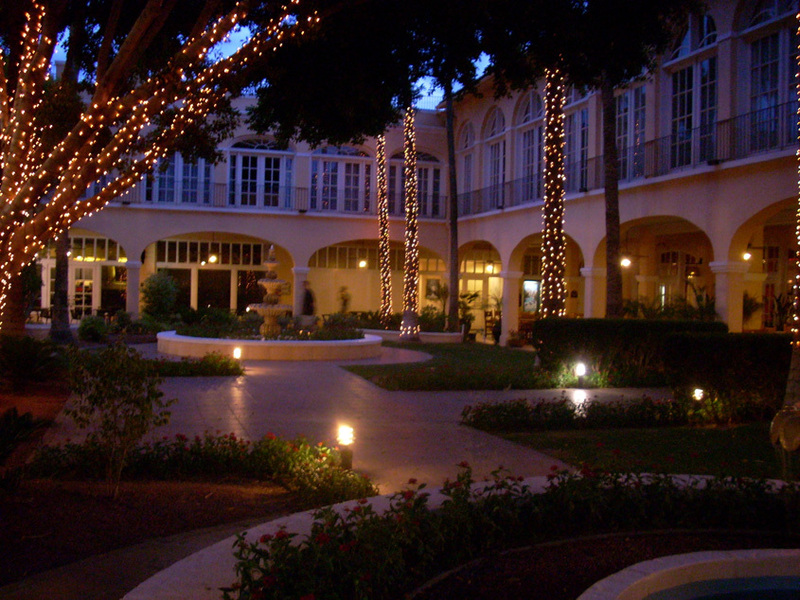 The fountain courtyard, with the trees wrapped in white Christmas lights, was the perfect setting for our cocktail hour. Everyone raved about how delicious the food was, and our wine glasses were never empty. When we arrived in our complimentary bridal suite, there was a chilled bottle of champagne waiting for us. The top layer of our wedding cake was boxed up and sitting next to it. I highly recommend taking the time to check out this venue. If you do, be sure to tell Ashley hello for me!